Today I enter a challenge at Just Add Ink. The challenge this week is an Sketch Challenge JAI#268. What a great sketch this is and as soon as I saw it, I knew I wanted to give it a go! I started with a Basic Black card and added panels of Old Olive and the a piece of the new Pretty Petals DSP Stack. I sponged the edges before gluing them to the card. Next I added the banner across the centre. 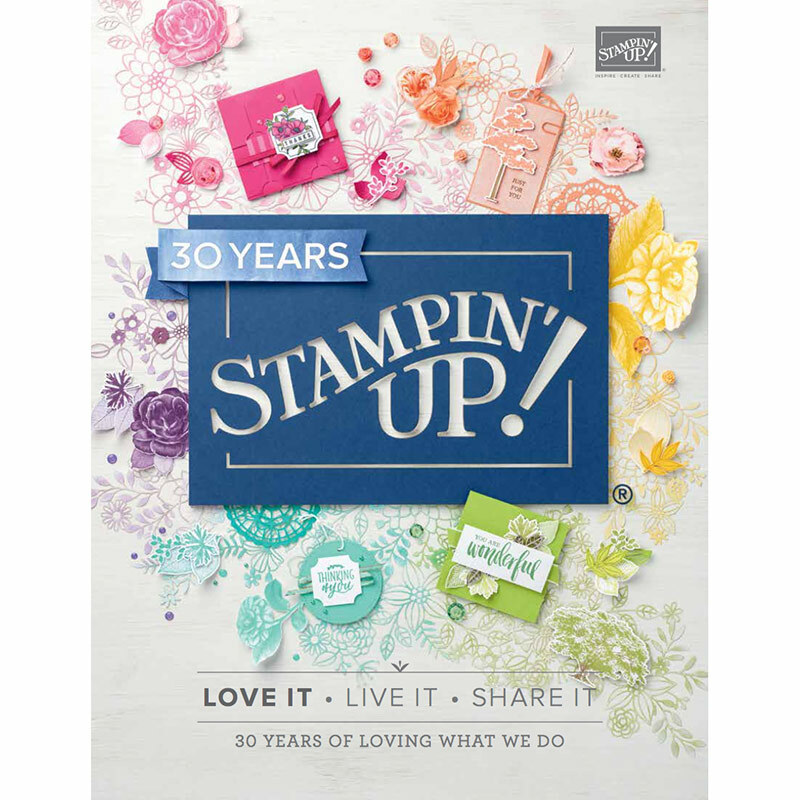 I used the 2″ circle punch and embossed it with the fluttering textured impressions embossing folder and sponged the edges before adding it with dimensionals. 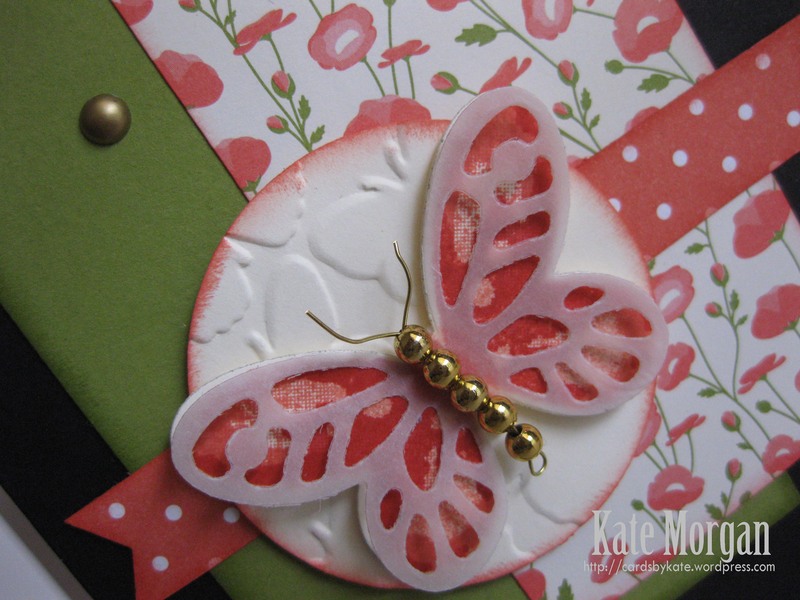 I stamped the butterfly onto Very Vanilla card stock, starting with Calypso Coral (stamped off for the first image), full strength for the second image and the 3rd is Watermelon Wonder. Then I die cut it out with the Butterflies Thinlits. 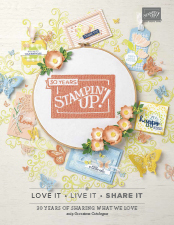 I also die cut a piece of vellum with the Bold Butterfly Framelits and attached it to the stamped image. I wanted something a little bit more, so I used some gold beads and threaded them onto gold wire I use for jewellery making! You can see it close up below, cute hey!!!! Do you see those gold dots? Wonder how I made those? Well, they are the White Perfect Accents and I coloured them with a Gold Sharpie pen!!!! How clever hey! Don’t forget to decorate the inside panel along with a coordinating envelope! I have to say when I saw this sketch I loved it, and all of the design team cards were stunning and very inspiring! Oh there are so many delightful details here Kate! I especially love the details the vellum overlay adds to the butterfly and that fabulous gold beaded body. Thanks for joining us at Just Add Ink this week. Really pretty card Kate. I really love how you have used the Vellum, wire and beads on your Butterfly. Chantell JAI. Thanks for playing at Just Add Ink this week with your beautiful card, Kate. I adore your little butterfly. It looks so lovely with the Pretty Petals paper. Lovely!